My easy to make crustless Quiche can be served with any type of salad or as an appetizer for any meal of the day. 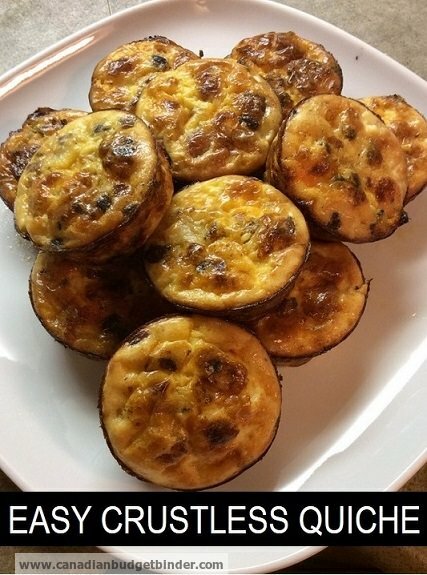 To be honest the list is endless as are the ingredients you can add to the egg mixture to customize your own Quiche. That’s the beauty of a Quiche because you can add what you like and take away what you don’t like and it’s pretty simple to do if you have picky eaters in your household. If you don’t fancy using bacon to make a bacon cheese Quiche and want to opt for a low-fat Quiche then you can fill up your egg mixture with loads of vegetables and keep it simple. A popular recipe is a spinach mushroom Quiche which is simply the egg mixture, chopped spinach and fresh mushrooms. Since I’m not using a crust for this Quiche recipe that also eliminates many of the unwanted calories and fat you might not desire. You can also make mini-crustless Quiche like I did here today or opt for a bigger muffin tin or smaller pie plates or tin designs. Once you have the basic Quiche recipe like you have here today the sky really is the limit. If you are like me and don’t like to waste food because you know it’s costly to the grocery budget you can clean out your refrigerator using up different veggies and meats like ham, chicken or pork to add to your Quiche recipe. Crustless Quiche is a versatile dish that be used in many ways and if you do prefer to use a crust all you need to do is prepare the crust and pour the mixture in the pastry and bake it. We love crustless Quiche in our house and I have made it on many occasions to take to a pot-luck and parties because it’s an easy, frugal recipe and transports well. These mini crustless Quiches do freeze well and can keep for up to 2 months in the freezer so another reason to make them ahead of time so you aren’t rushing to prep something for a party or for something to eat for the day. Just remember to cook them right through and test to make sure the egg mixture is springy to the touch. An easy to make crustless Quiche made with fresh ingredients that will add a splash of pizzazz to any brunch, breakfast, snack or lunch. Add the milk, cream and mayonnaise into the eggs and beat well with an electric whisk. In a pan fry off your onion, bacon and vegetables until the bacon is crispy. Place in the oven and cook for 20-25 mins until the Quiche springy to the touch. 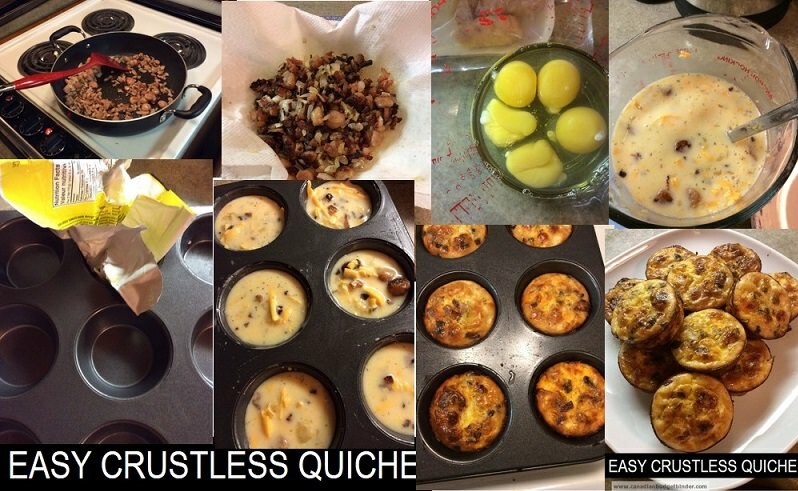 In many ways the crustless Quiche recipe is smart to have on hand at all times as its and easy, especially if you don’t wont to cook anything although they are dead easy to make. 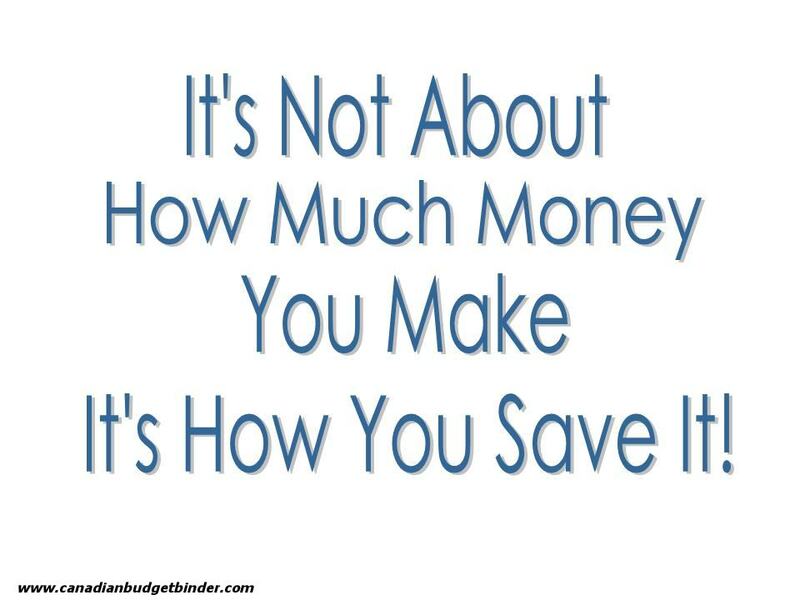 The Saturday Weekend Review #53: Do you know your household debt ratio? Quiche is delicious. It’s one of my favorite breakfast foods and sometimes we make it and freeze it. It does okay for us when thawed. This looks like a great recipe! Thank you for sharing. You are welcome Tushar. Yes we have these at brekky time too in buns with bacon and cheese great wake up in the morning! Oh yeah baby! Looks GREAT! I have all the ingredients already, will try tomorrow… hope I don’t burn it! Nah you won’t burn it lol! It’s super easy using the muffin pans and if you have some extra bacon why not line the outside then pour the egg mixture in! Tell me how it turns out! This looks yummy, as usual. I might have to up the ingredient list some as I feed 4 adults. The two boys can scarf food at a pretty good clip!!!! Consider yourself warned as yours get older!!!! Would you use the same cooking time if it’s in a pie plate??? I use a recipe for quiche from my SIL and I think it’s in the oven for close to an hour. Twelve minis might work here… 4 for each of the boys, one for hubby and three for me, might just work!!!! I love the fact you can add what ever to it to clean up leftovers!! Always looking for ways to do that around here. Thanks Nicola!!!! !